Container Management and Shipping operates and manages a fleet of container vessels owned by the group of companies within Container Leasing. 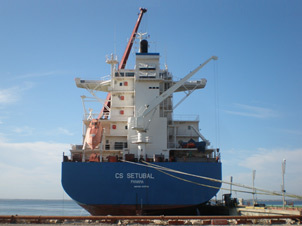 We also provide expert third party commercial ship management services. All administrative, operational and commercial aspects of our business are handled by highly experienced staff with deep market knowledge. To ensure the highest standards, technical and crewing matters are outsourced to reputable third party companies.